Euel (7 years ago) Inappropriate? Now. with these medical gizmos, I'll be able to say, "He's -not- dead, Jim. Just let me work on him!" Thank you. See the nurse on your way out. Tomokatu (9 years ago) Inappropriate? celticarchie (9 years ago) Inappropriate? Damn it Jim! I''m a Doctor, not a moon shuttle conductor! :D Doctors all over the Poser|DS Federation are saluting you Georgehaze.Damn it Jim! I''m a Doctor, not a moon shuttle conductor! 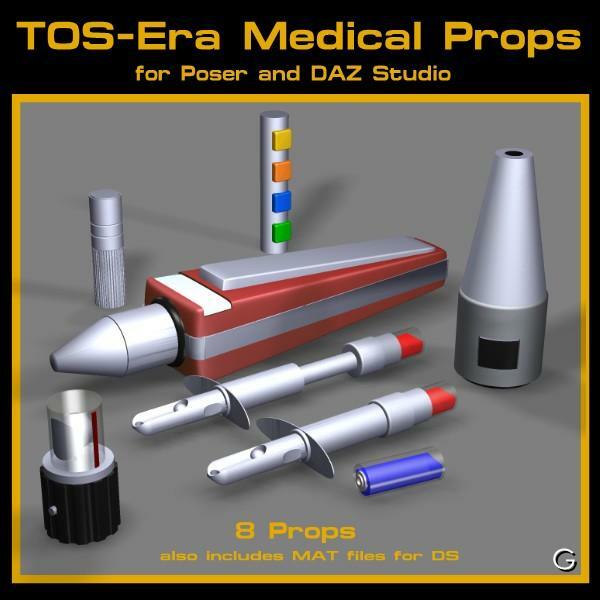 :D Doctors all over the Poser|DS Federation are saluting you Georgehaze. They''re perfect! Only thing missing is the nifty bag on Bones'' hip. The one with the velcro.They''re perfect! Only thing missing is the nifty bag on Bones'' hip. The one with the velcro. Ooooh! What does THIS button do? Runtimes are not complete without a medical Feinberger!!! Thanks!